This great property is only 2 mins walk to the famous Hot Water Beach, and offers spectacular views of Hot Water Beach with most of the comforts of home. Just 5 mins to cathedral cove. Hot Water beach is great for fishing, surfing or simply just relaxing. Make sure you visit the local Art gallery Moko or head to Hot Waves Cafe for a great coffee. don't miss out on some great fish and chips at the local holiday park. 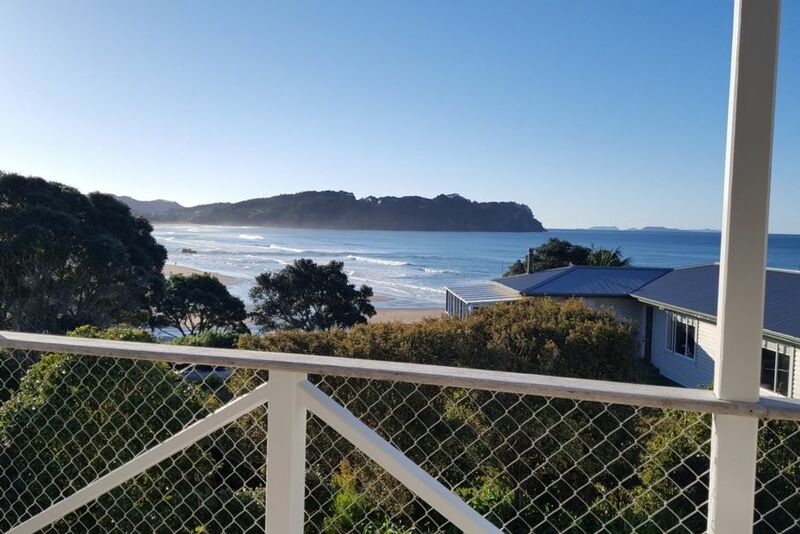 Hot Water Beach is also a fantastic location to use as a base to explore the gorgeous region of Coromandel. The downstairs will only be opened for more than 4 guests, with a maximum of 6 guests in total. This will mean only one bathroom is available for 4 guests. Another great stay in this little gem of a bach. I spent a number of hours digging hole out on the beach with my new extended family from the USA. I’d been driving around NZ for almost three weeks by this time, lugging endless suitcases, food etc etc. That afternoon I returned to the Hot Water Beach house and took a nap. I remember a gentle breeze lazily moving the sheer curtains in the bedroom overlooking the beach. The sound of the ocean, birdsong, warm sunlight and not much else. I absolutely loved every minute of my stay here and would be back in a heartbeat. Amazing location and perfect weekend! We had a wonderful time. We enjoyed it so much to see the roaring surf from the breakfast table every morning. For us the place was perfect.